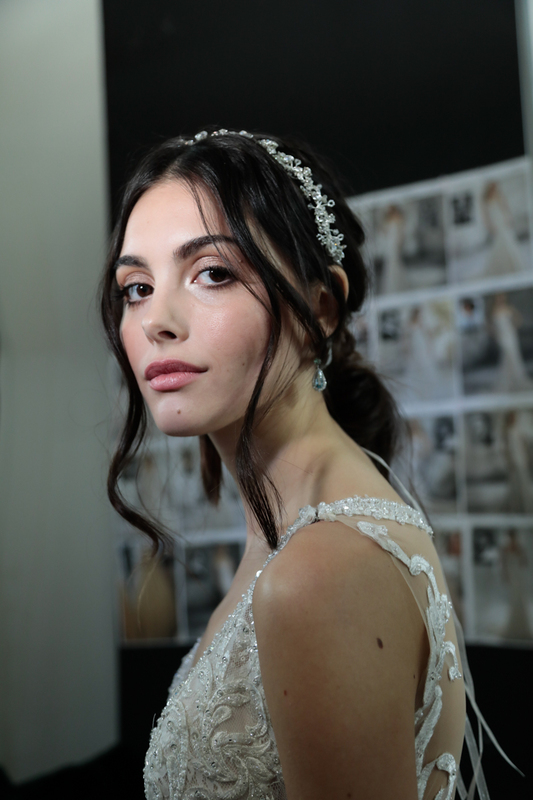 With rich, dusty, vintage hues, lots and lots of beautiful handmade laces, and layer upon layer of surprising design elements, Italian bridal gown designer Elizabeth Delogu brings drama and a timeless beauty to her 2019 ‘Early Autumn Dawn’s Dream’ collection of bridal gowns. Ciao bella! 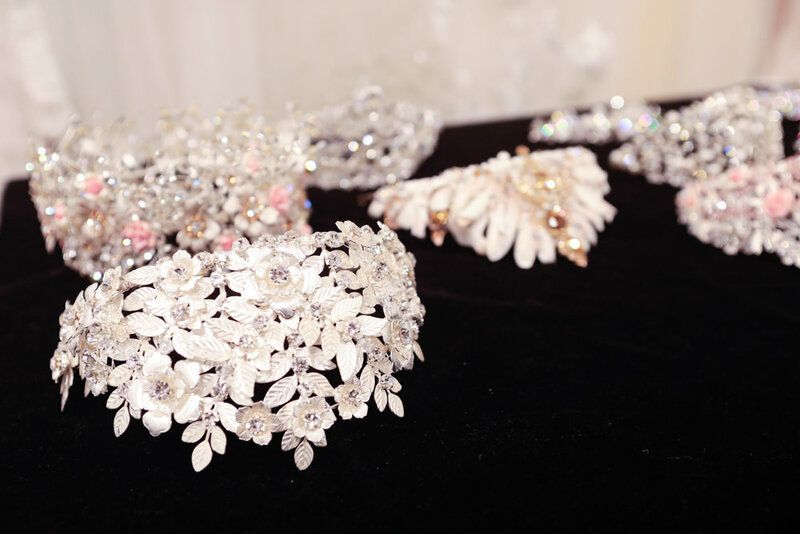 Jaime Elyse, known for the global success of her couture bridal collection, has announced the launch of a new red carpet collection. On the heels of a successful awards show season, for which she dressed several actresses, Jaime Elyse has had a strong presence in Hollywood. She has worked on set for both TV and Movies, including The Bachelor, Truth Be Told, Sandy Wexler & the Ellen Show. Jaime Elyse has been immersed in fashion since she was a young girl. With an innate penchant for design, she pored through fashion magazines and would frequent the local thrift shop to purchase garments that she could deconstruct and study how they were made. 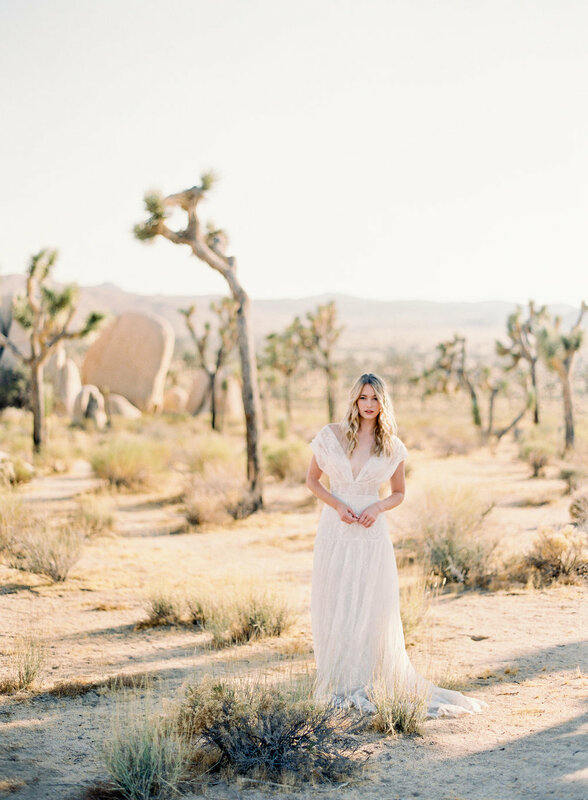 Self-taught, after high school she worked under the tutelage of Jessica McClintock bridal, and soon embarked on her own couture bridal designs. Elyse believes that textiles are one of the most important elements of design. 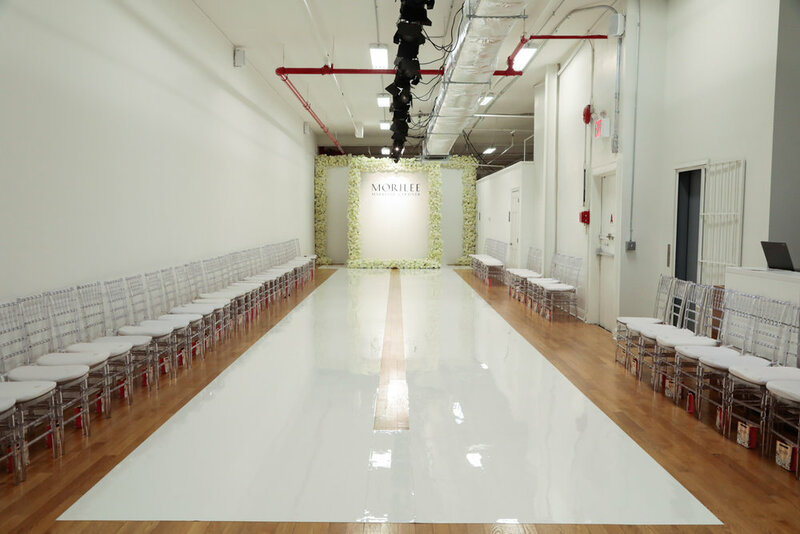 When consulting with clients for couture dresses, she meets one-on-one to determine the best silhouette and pairs it with the material best suited to bring the design to life. An architect of couture, Elyse crafts garments into pieces of wearable art. Enjoy! 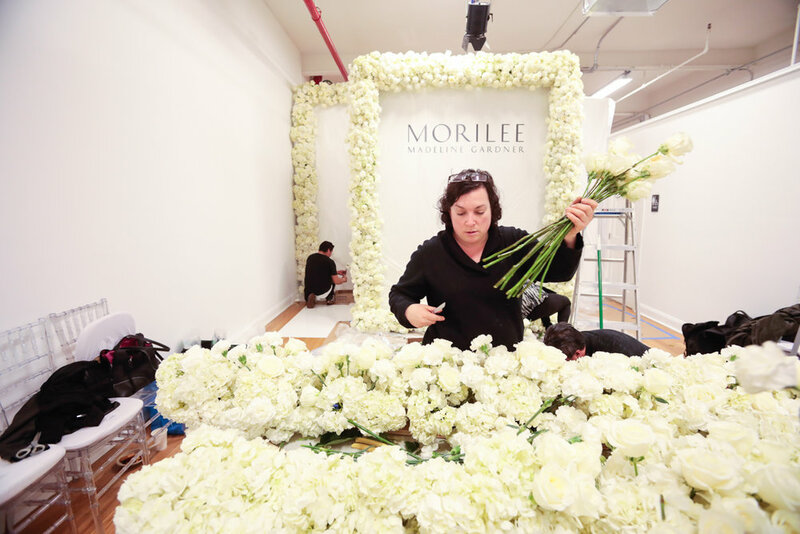 Fabulously talented and well known bridal designer Ines Di Santo always tales risks - that's how you move an industry forward and keep others [and yourself!] inspired- especially in fashion. So its no surprise the designer known for bold, dramatic, uber feminine styling has create her own take on the bridal Jumpsuit Gown. Take a look! 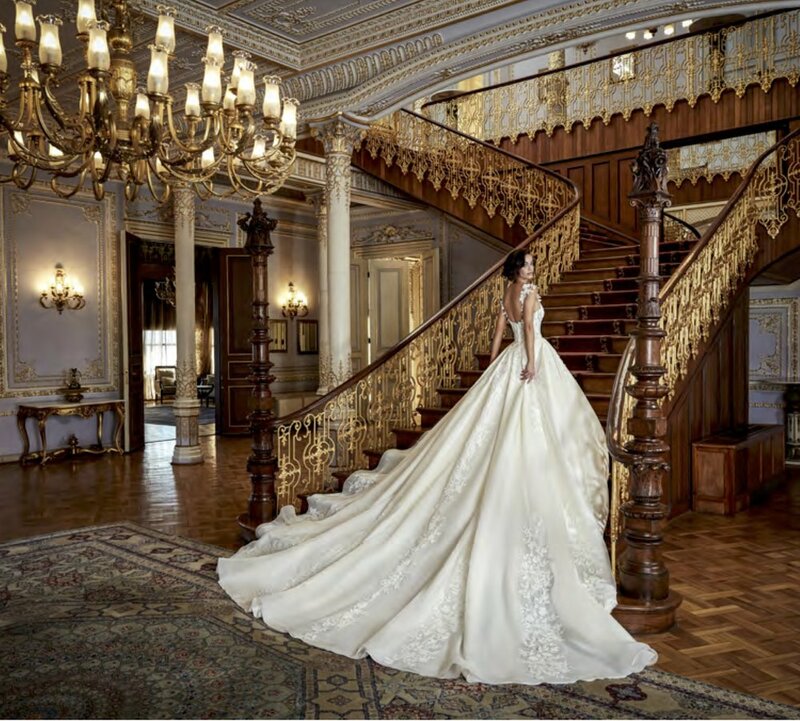 If you're not into jumpsuits you can still find the most gorgeous bridal gowns by Ines Di Santo at local bridal fashion specialist M bride Salon in La Jolla! 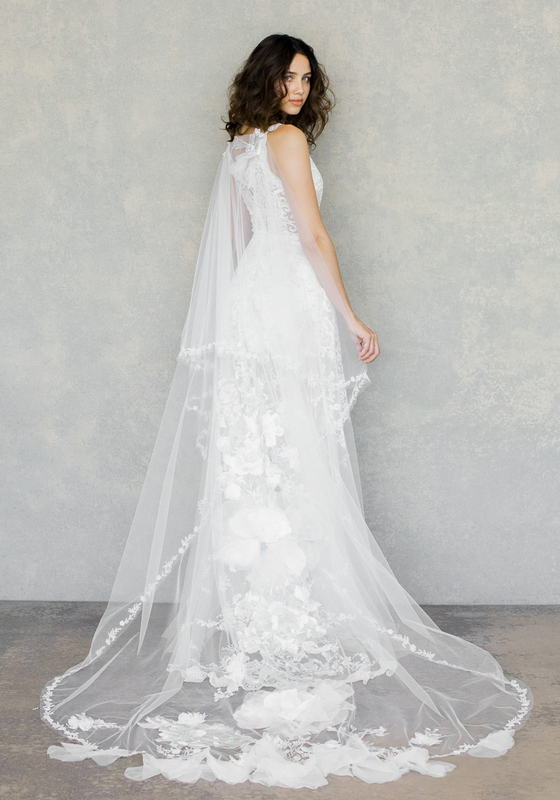 ‘The White Album’ Collection of Bridal Gowns by Claire Pettibone is a departure for the colorful designer, yet stays true to her oh so feminine and romantic aesthetic, even in all whites. 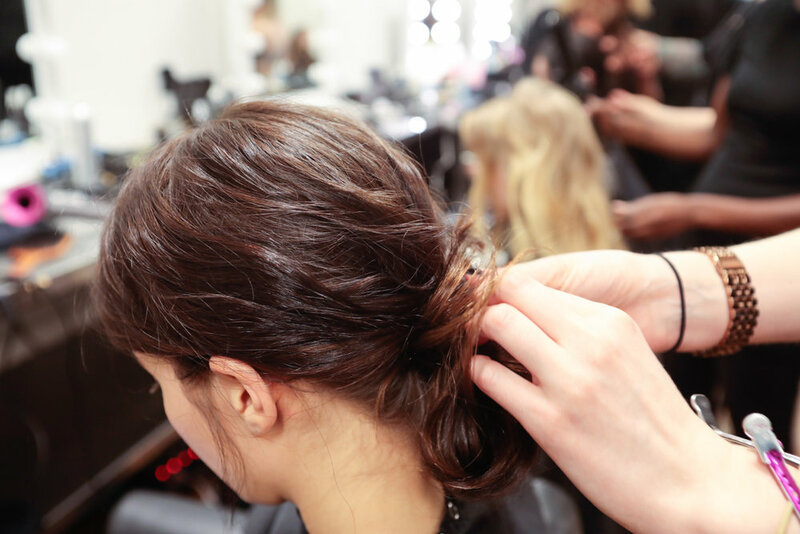 A cleansing of the palette, a touch of the pure and classic. 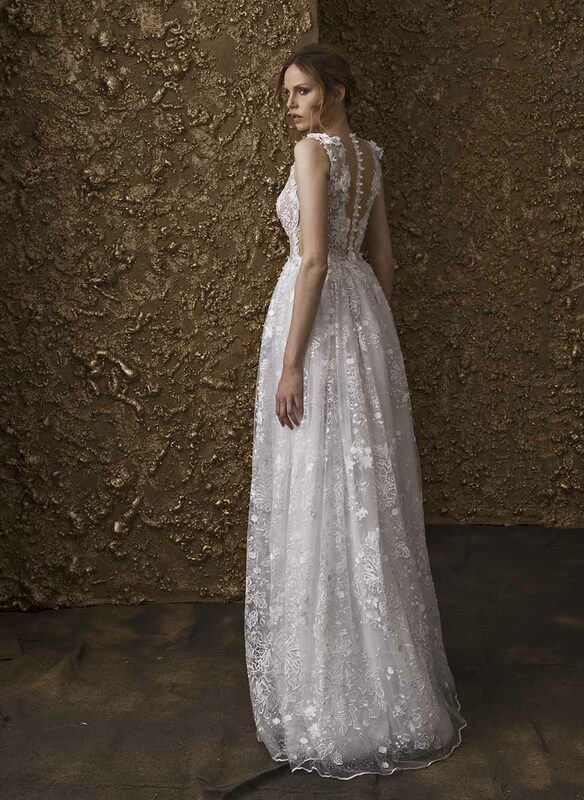 Introducing new Romantique bridal gowns with sensuous silhouettes and graceful details. Followed by a selection of couture gowns re-imagined in classic shades of pearl and ivory. And for the final ode to the color of purity, introducing Gypsy Moon, with sequins shimmering beneath layers of tulle, and a floral cape befitting the Moon Goddess herself. 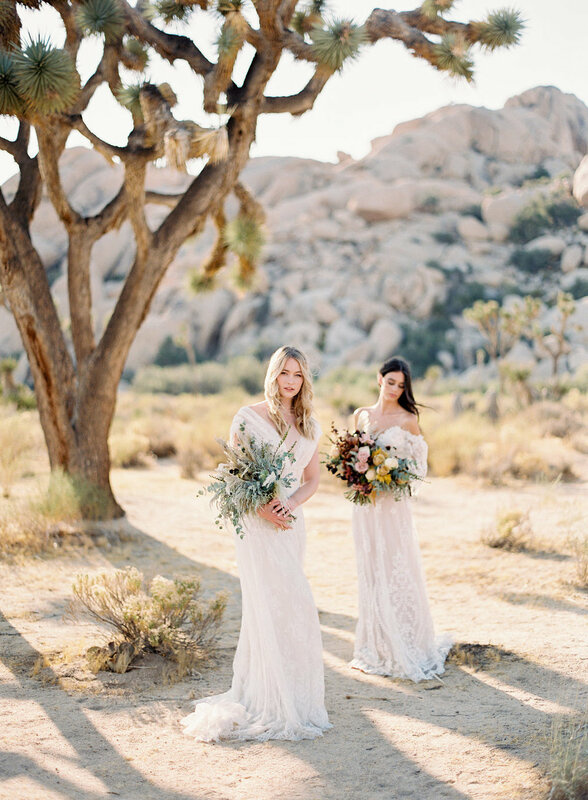 Says the well known and well loved romantic bridal designer Claire Pettibone, "I know white and ivory are obvious in bridal, but for me, designing a collection with no color is actually a first! Each season is an evolution, and sometimes a fresh start from the last. Since my Vagabond Collection was color-filled, I felt the inspiration for this season to work exclusively in shades of white. There is a simplicity, and a purity to an absence of color, where the focus becomes purely focused on silhouette, texture and detail." 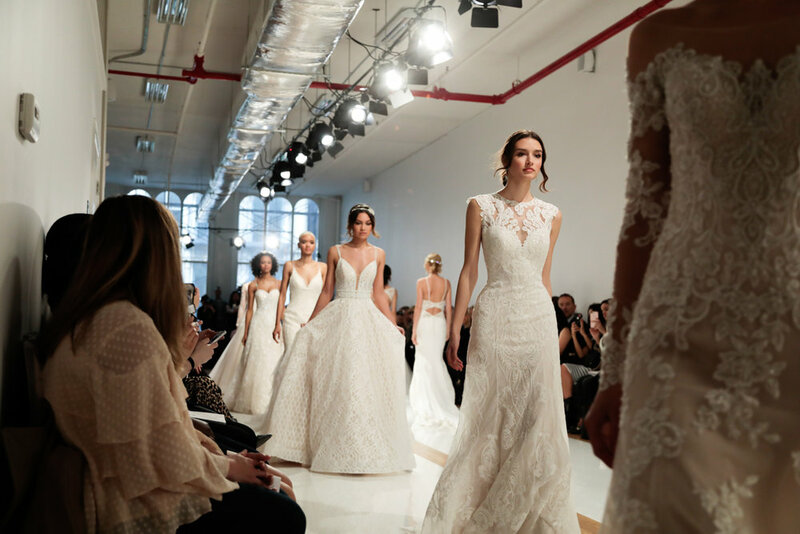 We love a great Fashion Show especially for Bridal Designs like these by BERTA that showed on the runway this month at New York Bridal Fashion Week! 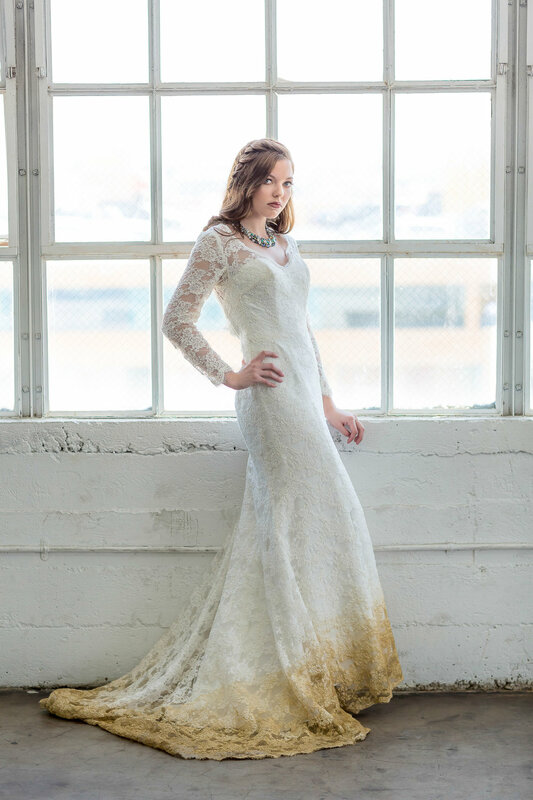 Check out the fresh designs, tons of lace, plunging necklines, and just enough sparkle to make any bride very very happy! 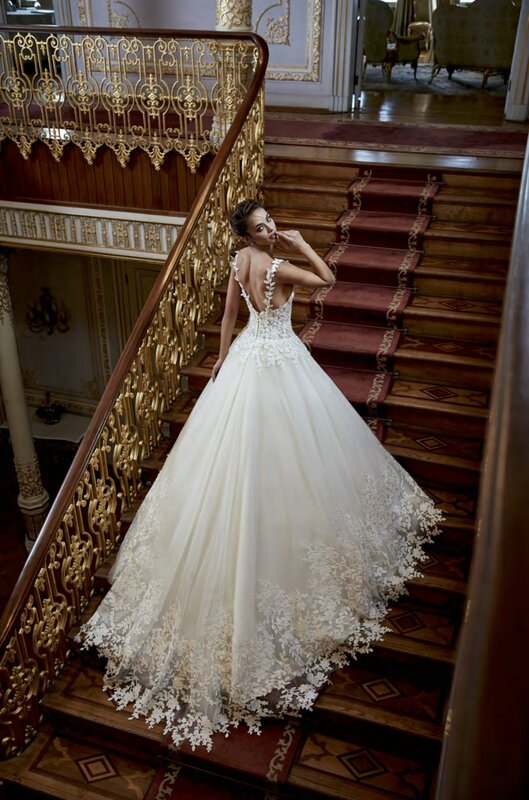 The NEW Nurit Hen 2018 Bridal Gown Collection 'Golden Touch' is Here! 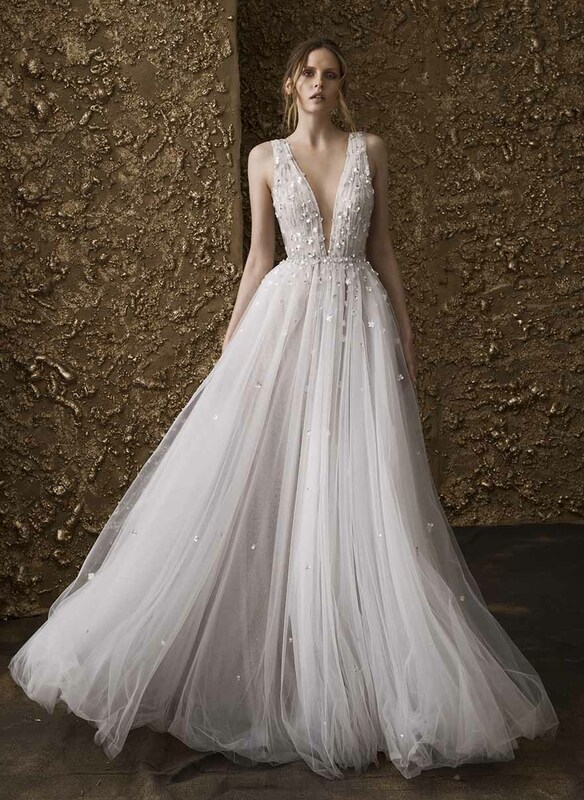 Nurit Hen, a well known Israeli designer, showcases her collections that are well known world-wide for their sophisticated look and detailing; giving an exotic, modern look to bridal design. 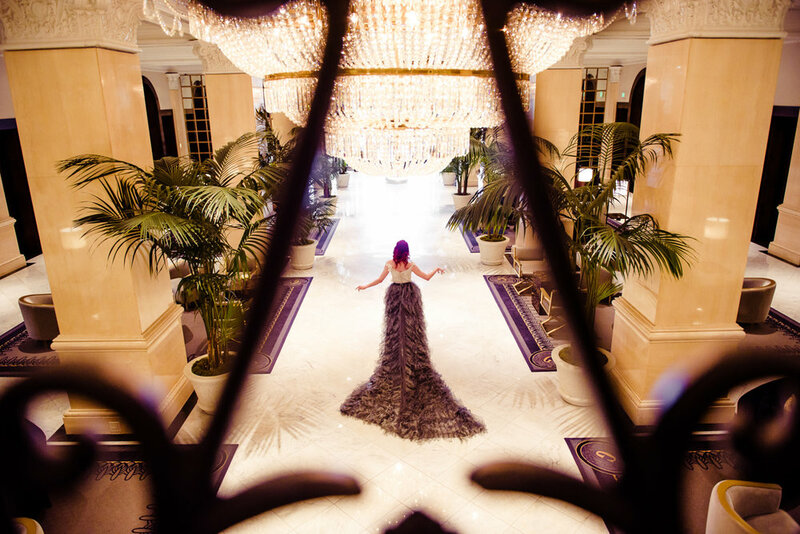 Nurit feels that she designs each gown for a bride not only for her body, but also for her heart and her soul. 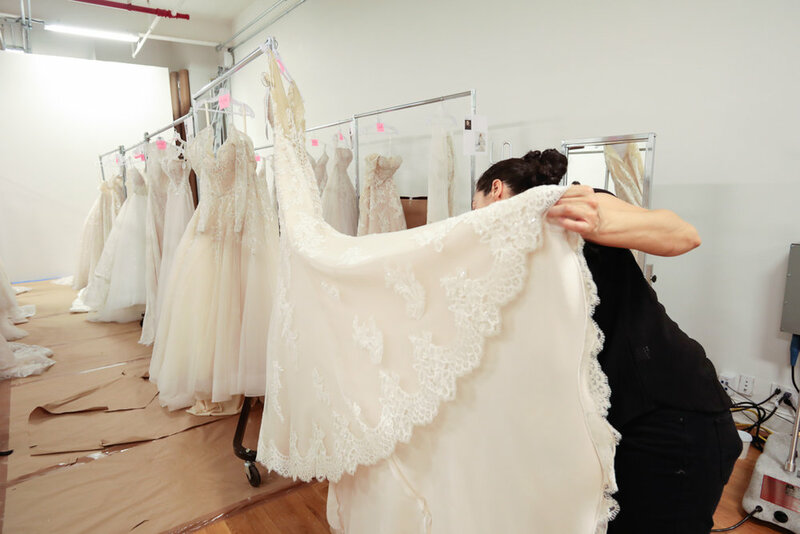 At Nurit Hen, the design process begins at the foundation. 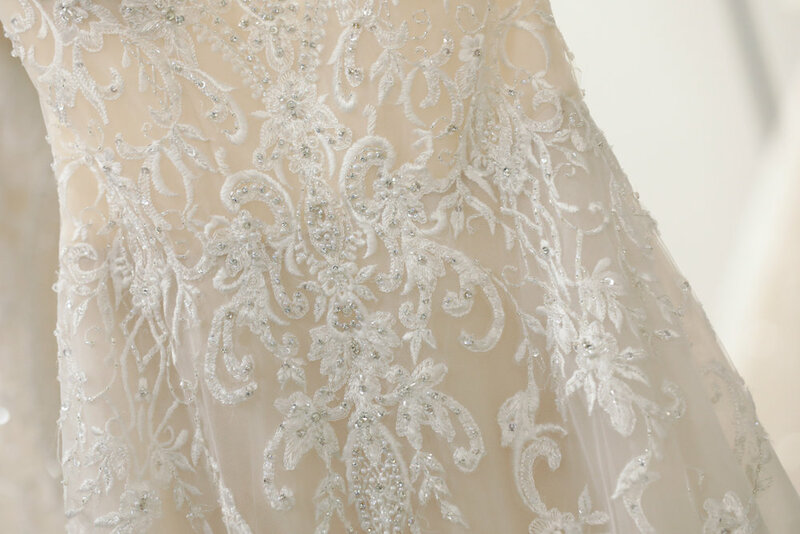 Each and every gown is an art creation that is handmade by precise measurements. 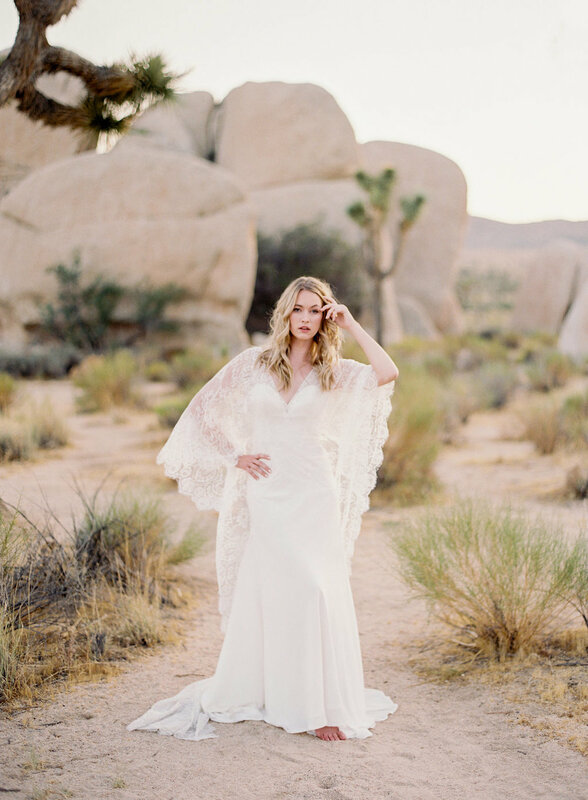 Each dress is beautifully beaded and well constructed with luxurious fabrics and lace, which are imported from fashion capitals from around the world, so that every bride will walk down the aisle feeling beautiful, confident, and comfortable. And special if we do say so! 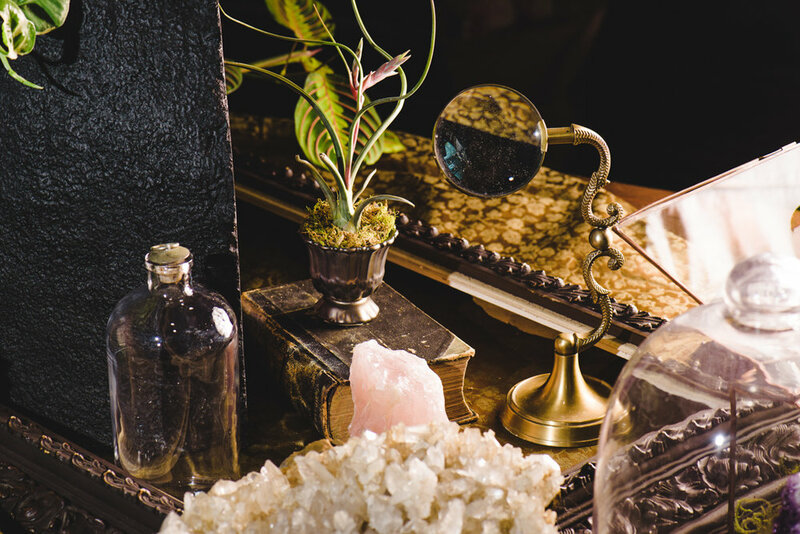 Our Age of Discovery themed Wedding Styled Shoot would make Charles Darwin swoon! 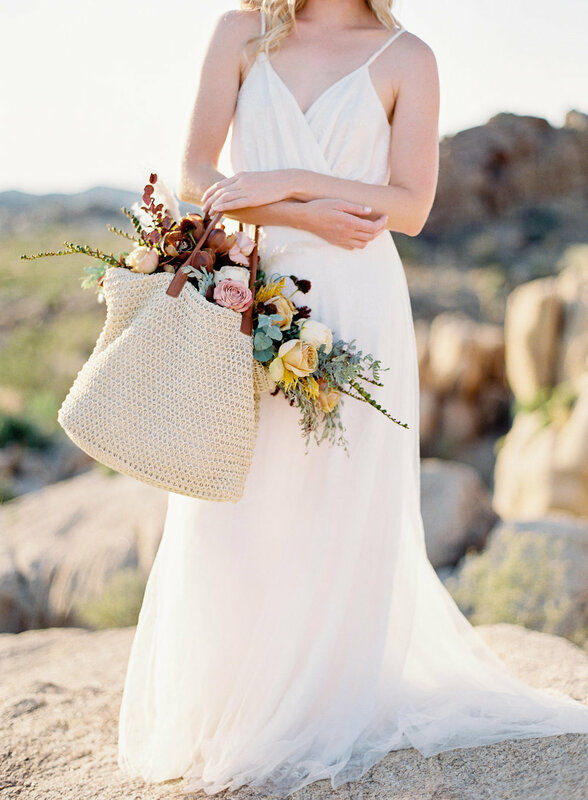 We love to play with wedding fashion and styling and look for things that, perhaps, others may not see. 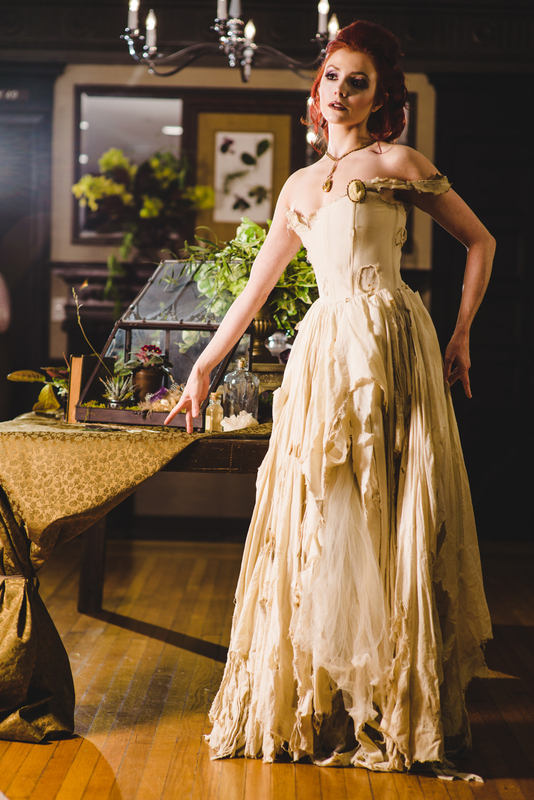 We started with an ethereal muse of a beautiful, feminine spirit still happily living in, what we call, the "Age of Discovery"; that wonderful era of passionate Victorian riches and scientific discovery, with Charles Darwin at the helm of a ship finding wondrous new lands, new species and new ideas. A time full of Victorian romance, explorations, the vast beautiful and phantasmagorical wonders of the earth and of new peoples, places and things, maybe a shipwreck or pirate or two, and the gorgeous and dramatic architecture of the time, like that reflected in the US GRANT HOTEL, the absolutely perfect home for this dramatic shoot. Please see full credits at bottom and be sure to click on images to open to their full glory...enjoy! 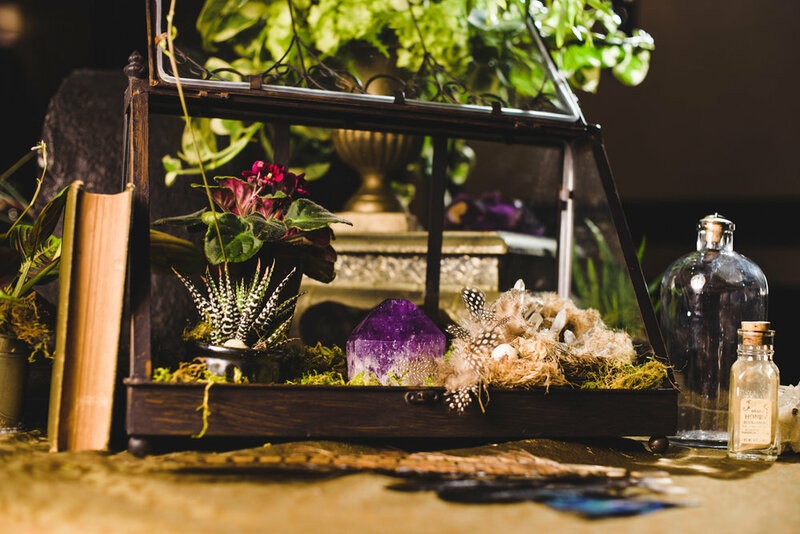 With Designer Michelle Hebert's ethereal bridal gowns that harken back to an era of romance and adventure, Adrianne Smith's gorgeous and abundant florals and decor, our 'apothecarian' staging and props [hello terrariums! 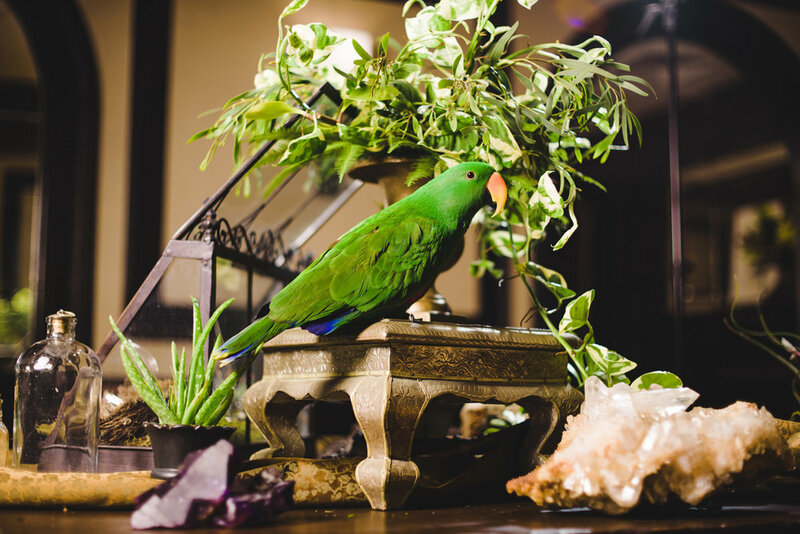 ], Jessika Davis' breathtaking geodes and crystals that brought so much positive earth energy to the day, and Oiseau the Parrot, who was the clear star [love this green diva!] of the shoot and, yes, has his own Facebook page for his fans. 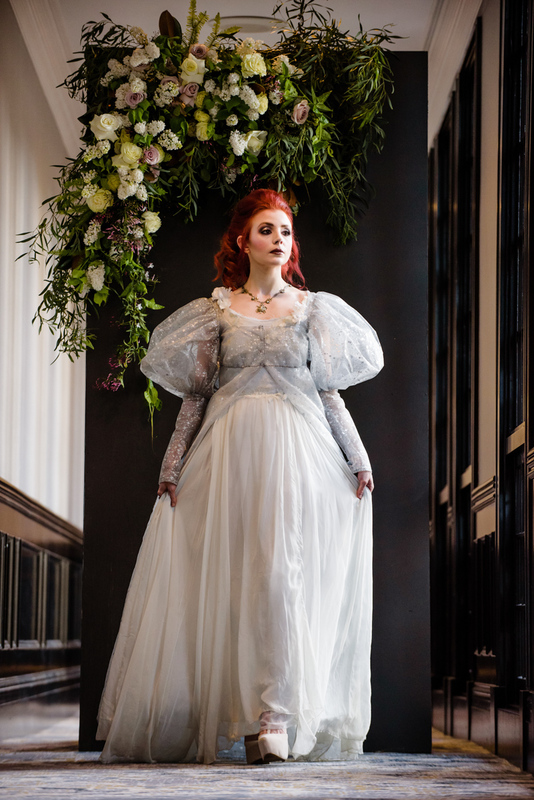 We especially love that when approached about a "somewhat ghostly, Darwin-era, age of Science and discovery, romantic, ethereal, bridal fashion styled photo shoot", all of these artists couldn't say yes fast enough! 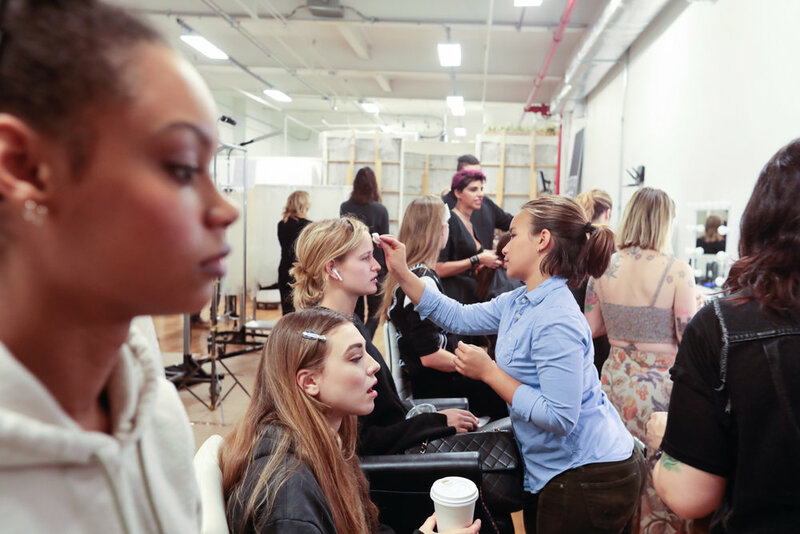 With Alta DeKoven's truly artful makeup [which you may note changes throughout the long multi-locale shoot to reflect the setting and the light! 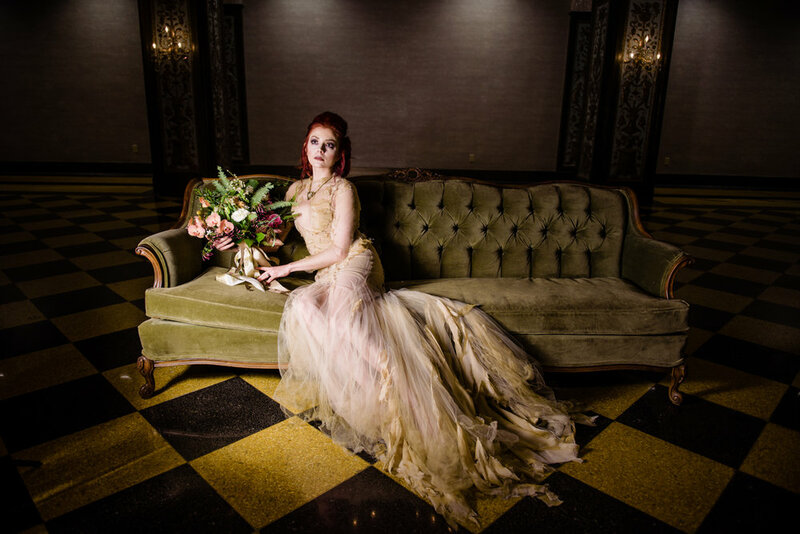 ], Lia of Kut Haus Glendora's romantic, period-perfect hair styling and Vintage Jewelry Lounge's authentic accessories brought the finishing touches to the alchemy of this shoot's style! And, of course, the man, the artist, our incredible creative photographer Paul Douda capturing the light, the mood and the style of this special era, in fact bringing the entire soul of the shoot to life. Honestly we couldn't be more proud to work with this amazing talented team of artists. Special thank you to the US GRANT HOTEL for allowing us to roam your halls like happy, Darwin-era ghosts, capturing with love, the rich and historic beauty of your palatial venue! 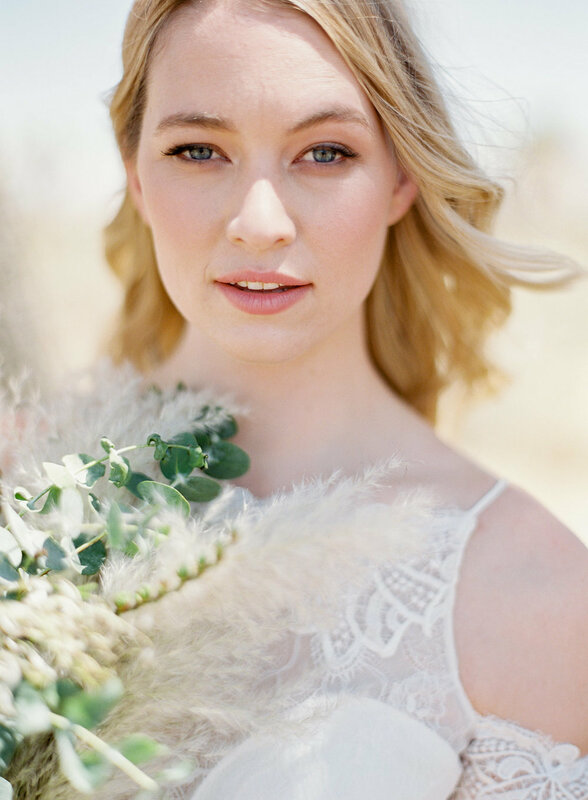 And to our model Mather, the perfect muse for our day! When we get to work with people as awesome as this to create something so unique for the bridal fashion world we are over the moon!